Over six days, Ritchie Bros. sold a staggering 13,350-plus assets for a record $297 million. 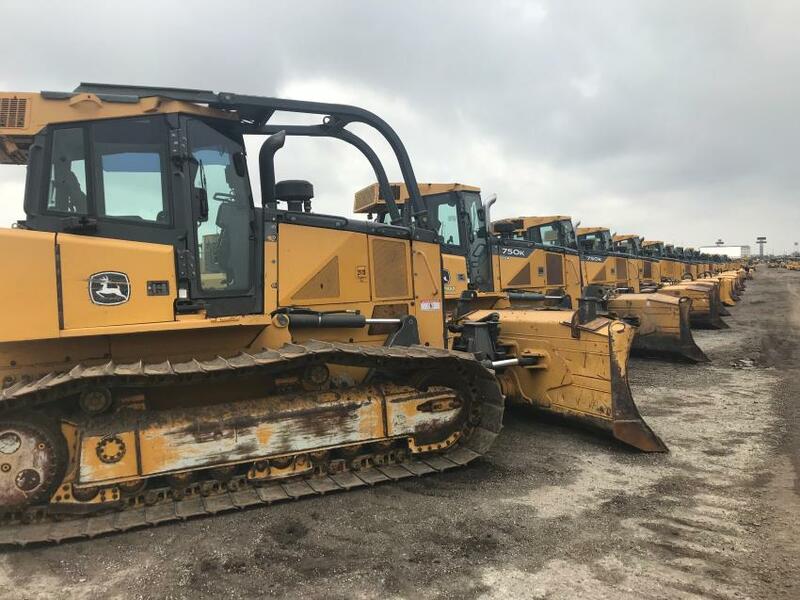 A sea of equipment stretched over the 220-acre Ritchie Bros. auction site in Orlando, Fla., from Feb. 18 to 23, 2019, as the company hosted its largest auction ever. Over six days, the company sold a staggering 13,350-plus assets for a record $297-plus million — up seven percent from last year's $278 million total. 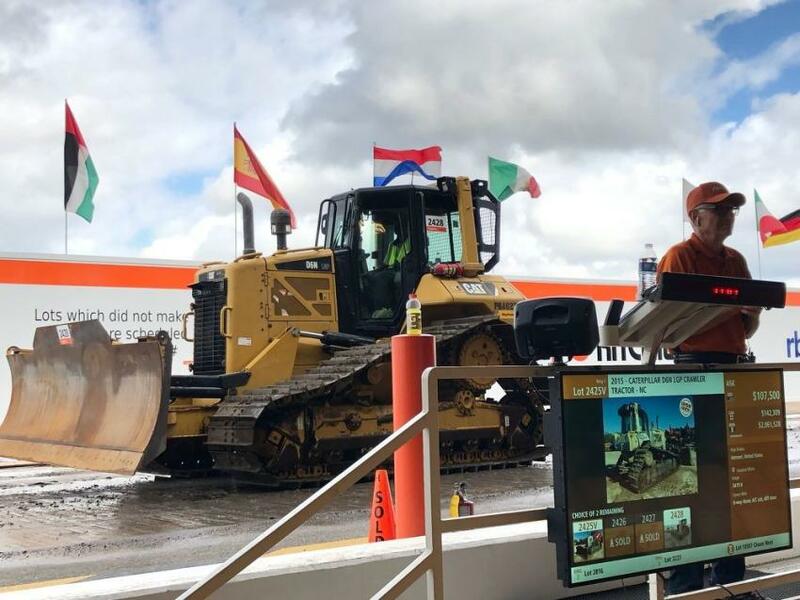 The massive selection of equipment attracted more than 15,900 people from 88 countries — setting a new site record — including more than 11,300 bidders participating online in real time from around the world. 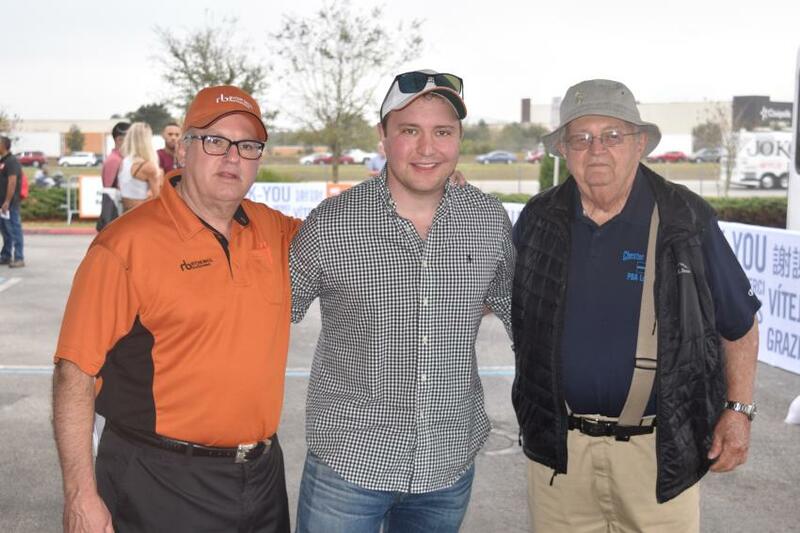 At the end of the six-day event, approximately 84 percent of the assets were purchased by buyers from outside Florida, showcasing the auction's wide appeal. U.S. buyers purchased 85 percent of the equipment, while international buyers from countries, such as Australia, China, Colombia, Germany, Nigeria and the United Arab Emirates, purchased 15 percent. 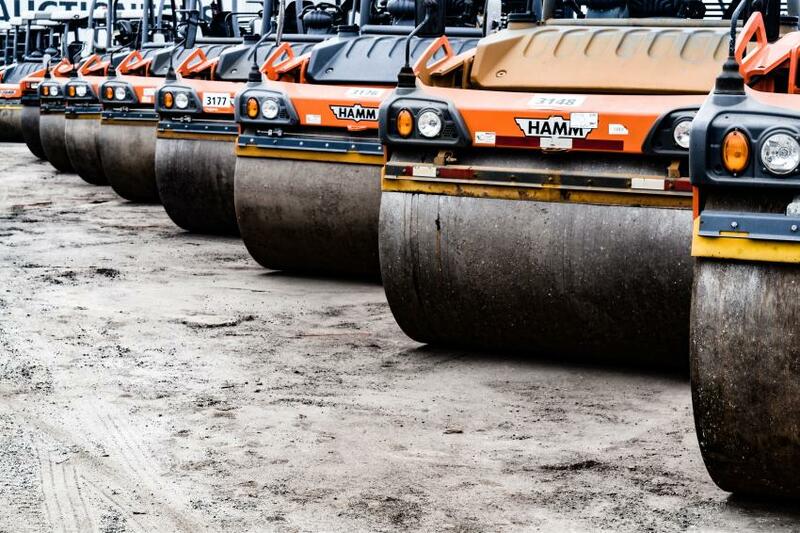 Online buyers purchased approximately 49 percent of the equipment. 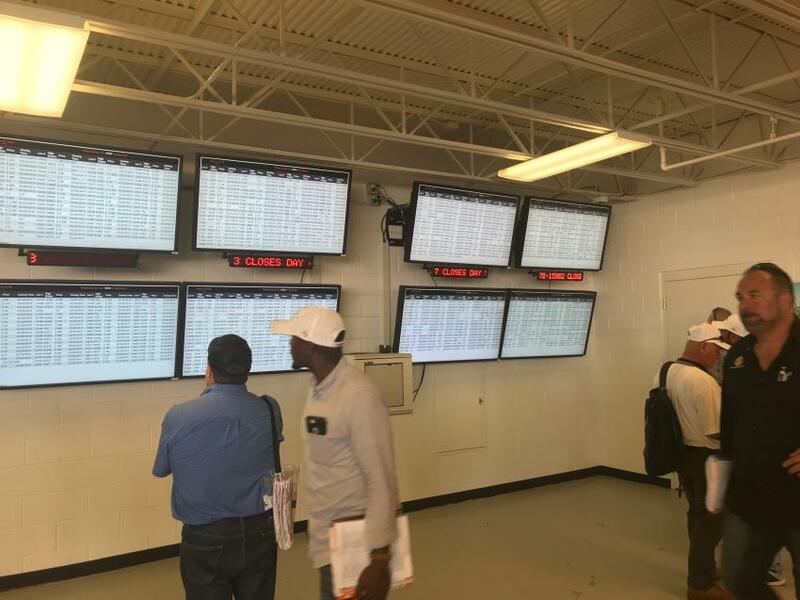 "We had a great week in Orlando, helping more than 1,150 companies sell their surplus equipment to buyers from nearly every corner of the world," said Ravi Saligram, chief executive officer, Ritchie Bros. "Orlando is the Super Bowl of auctions and our team was prepared and performed tremendously, helping us set multiple company records, including our largest ever gross transactional value (GTV) and the most equipment we've sold in one auction in 60-plus years of business. On day-five alone, we sold approximately 2,300 items for more than $82 million — the largest single auction day in our history. "We achieved GTV of $297 million for the 13,350 items sold in Orlando, representing growth of seven percent in both GTV and lots sold versus prior year, a positive indicator of loosening supply. Our results reflected strong pricing for premium construction assets with low hours. Conversely, we witnessed pricing pressure on assets with higher hours, which indicates supply may have begun to harmonize with demand. Transportation assets, including over-the-road trucks and vocational units, continue to achieve strong prices. 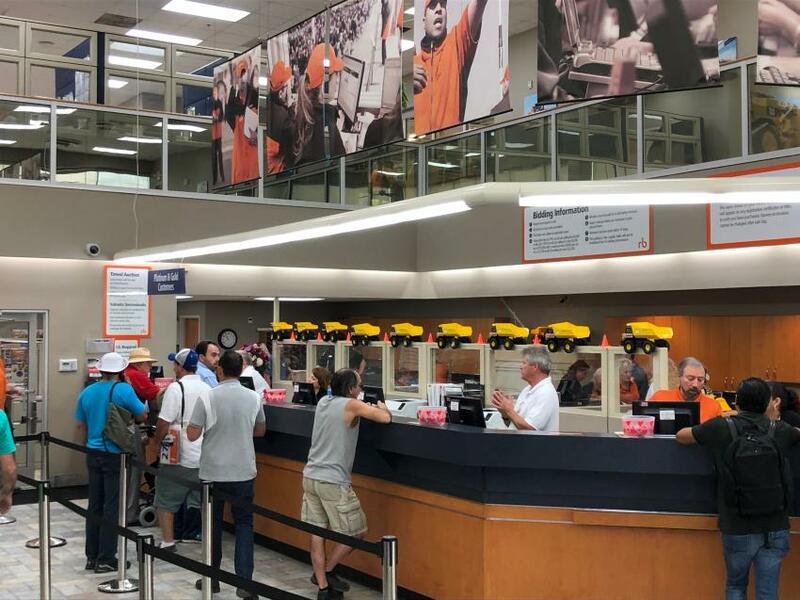 Importantly, I want to thank all our consignors and buyers for their confidence in us — and our employees who worked very hard to make the auction a tremendous success and add value for our customers." 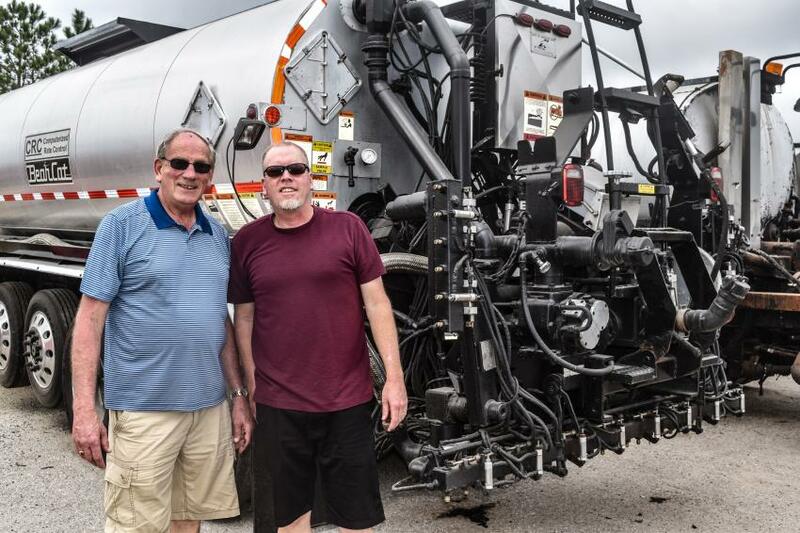 Bidders enjoyed their time in Florida and adding to their equipment fleets. 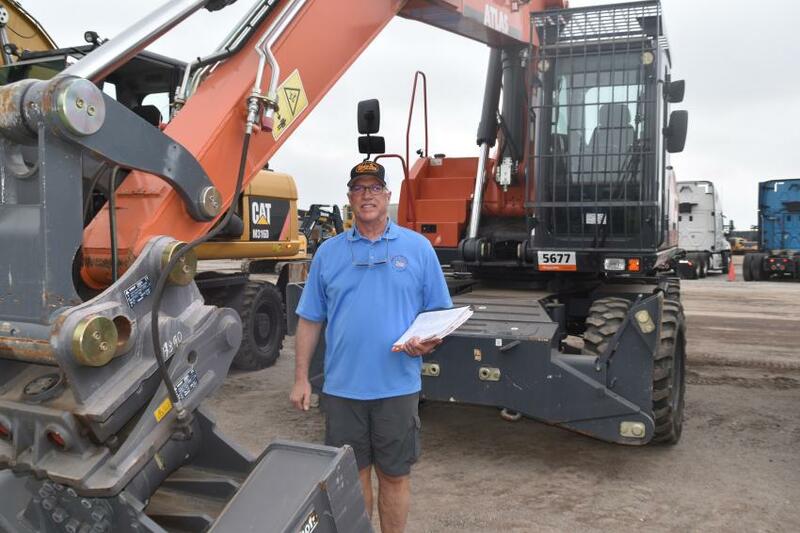 "I really enjoy coming to the Orlando auction because there are so many pieces of equipment, you meet so many great people and you get to enjoy the great hospitality of Ritchie Bros.," said Joey Chambers of Superior Custom Services Inc., based in Ga.
"We do a lot of buying in Orlando because everything you need is going to be here," said Ronnie Hedrick Jr. of Bul-Hed Corp. Fla. "It doesn't matter the manufacturer or the type of equipment, there is something for everyone. For people like myself, who were born and raised around equipment, events like Orlando are a lot of fun." Among the largest lineups of late-model dozers ever offered was this Caterpillar D6N, which drew a lot of bidding action. Approximately 400 crawler tractors went over the auction ramp. Bidders look over the bids on the timed auction screens. (L-R): Fred Vilsmeier, auctioneer of Ritchie Bros., stands with Dylan Hoffman, project manager, and Russ Duryea, owner, both of R&R Construction Co. Inc. of N.J.
Robert Coffin, owner of Coffin Gravel & Excavating, Lacona, N.Y., was looking to add a few new items to his growing fleet. 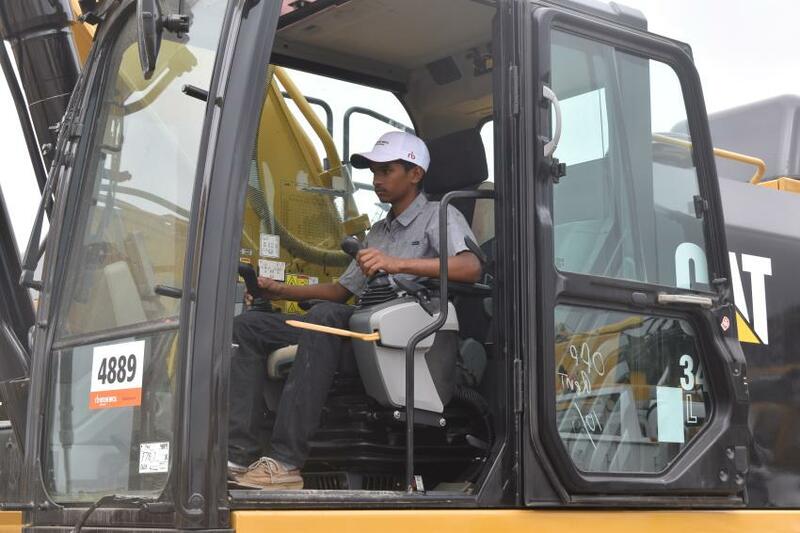 Aleem Raahim and his family own a big plot of land and need to upgrade from a mini-excavator to a full size; they were looking to do just that during the Ritchie Bros. Florida Auctions. Bart (L) and Will van der Stappen of Advanced Paving and Construction, Ogden, Utah. Will has taken over the company from his father and is looking to expand with a larger tank chip sealer. 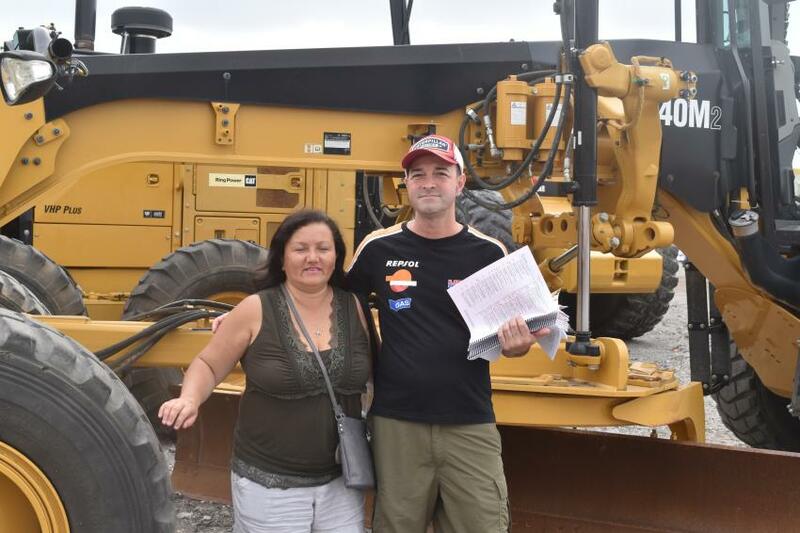 Theresa and Anthony Gonzales, owners of Worldwise Corp. in San Antonio, Texas, were looking at a Caterpillar motorgrader. 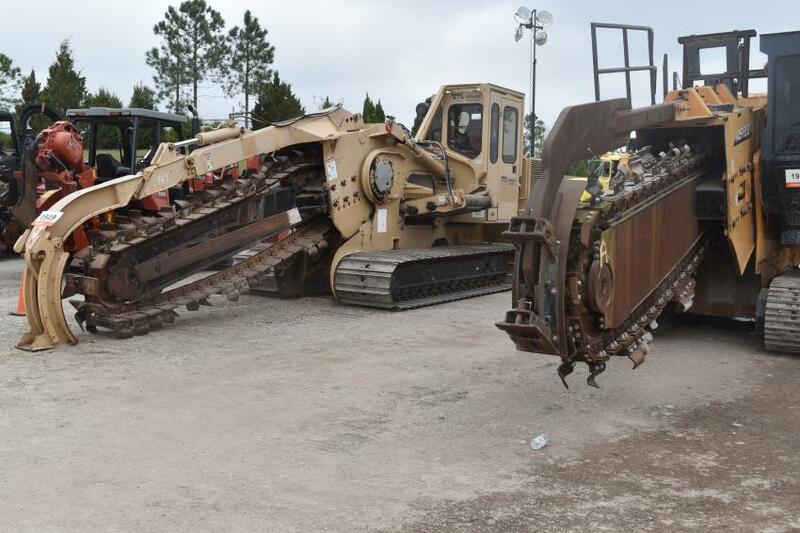 In total, more than 640 compactors rolled over the auction ramp during Ritchie Bros.’ six-day Florida Auctions. 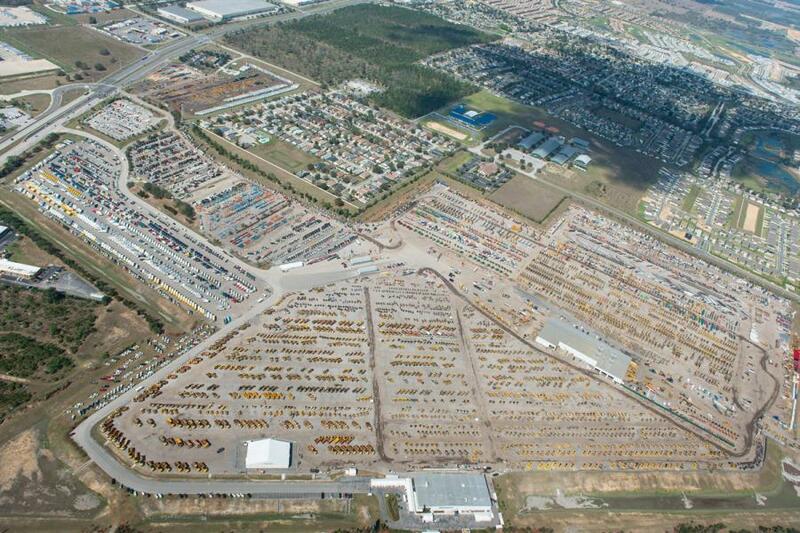 If you were looking for excavators, the Ritchie Bros. six-day auction was certainly the place to be. 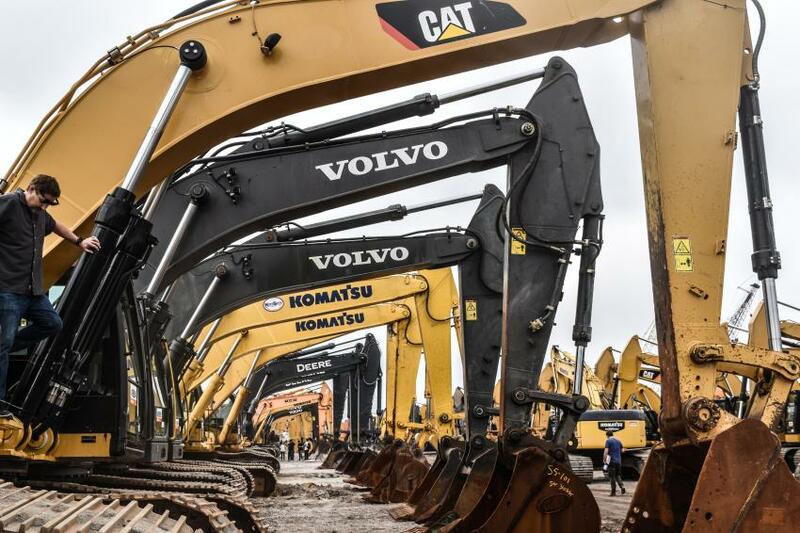 More than 800 excavators went on the auction block. 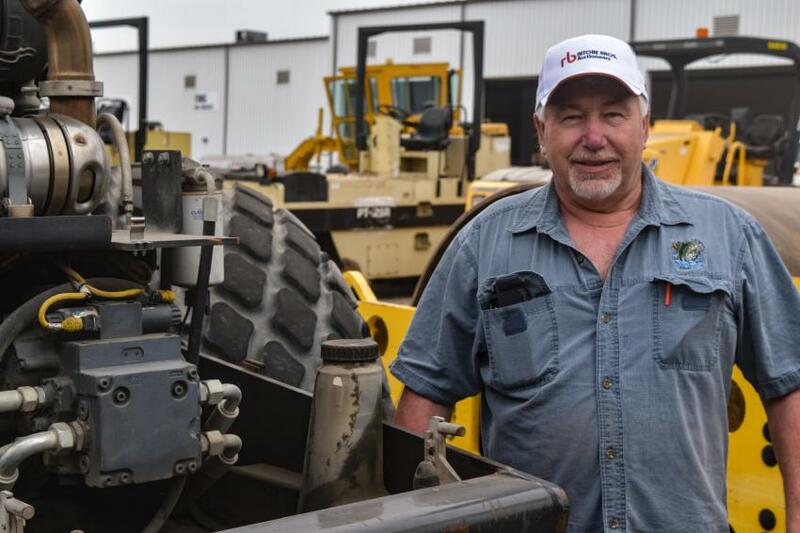 These Astec trenchers found new owners during the six-day sale. 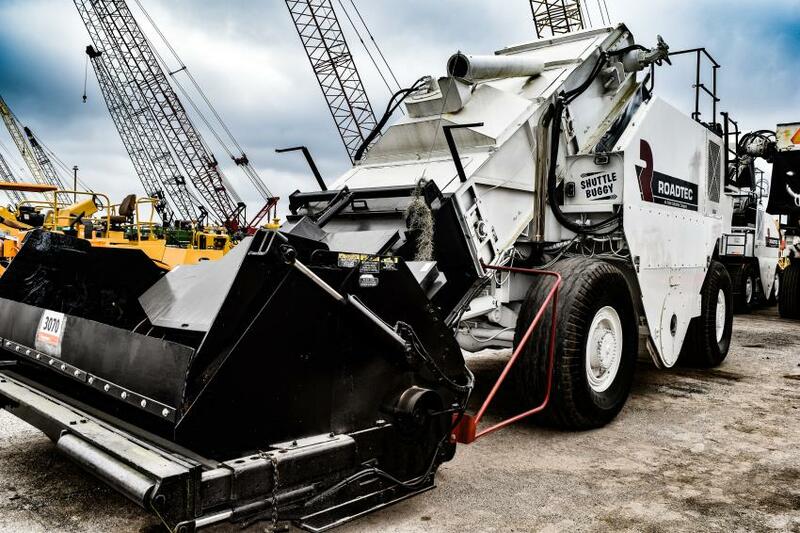 This Roadtec Shuttle Buggy was available to the highest bidder during Ritchie’s six-day sale in Orlando, Fla.
An extensive selection of telehandlers and cranes went on the auction block. 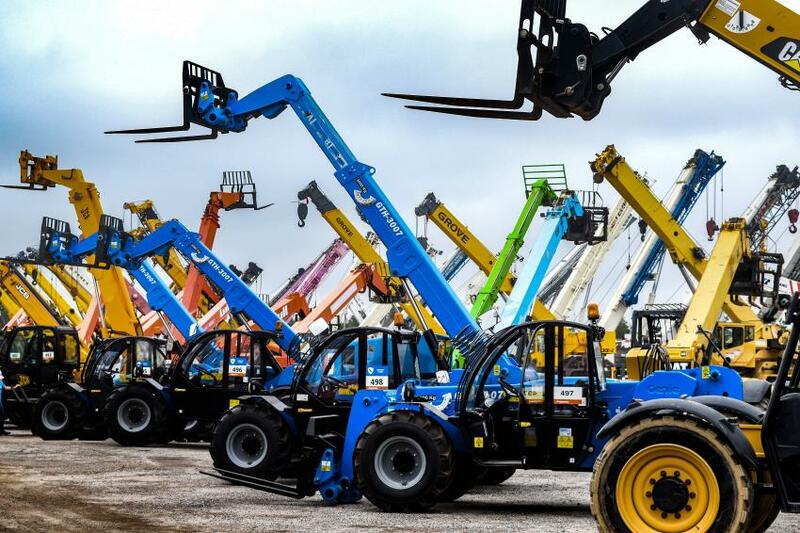 You wouldn’t know it based on the quick-moving lines for registration, but the Ritchie Bros. Florida Auctions were the biggest, most successful ever for the company. With advancements in registration technology, Ritchie is able to register attendees in less than 30 seconds. The massive selection of equipment attracted more than 15,900 people. 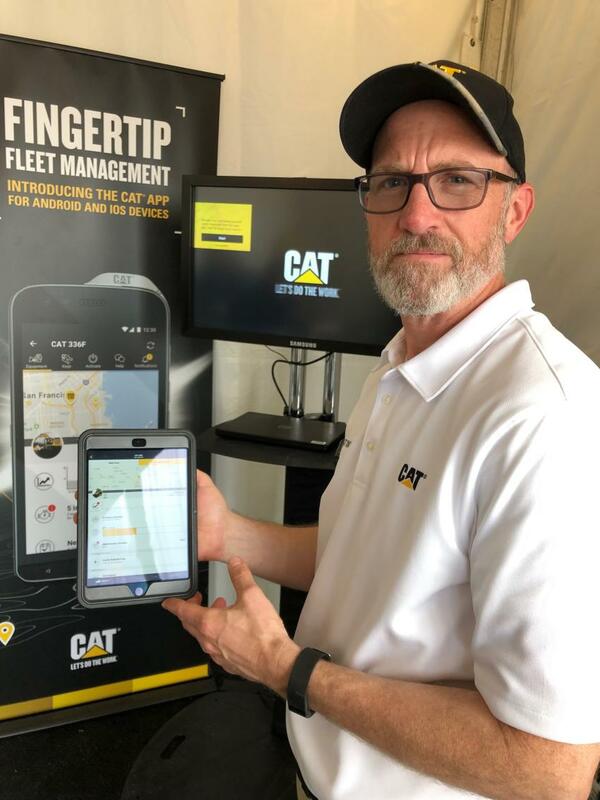 This year, Ritchie Bros. is working with Caterpillar to offer Cat Connect technology to Cat equipment consignors. 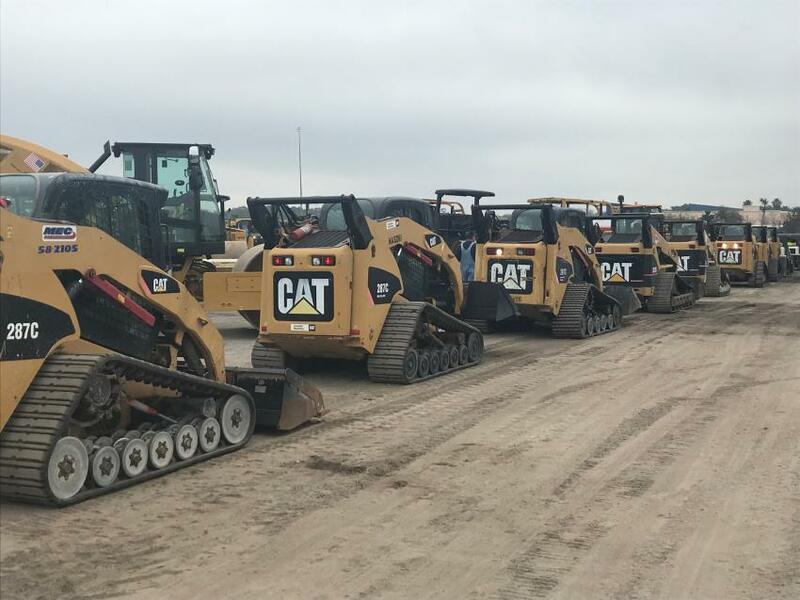 This technology should help consignors bring premium prices for their equipment and improve efficiencies of the Cat fleet for the equipment purchaser. 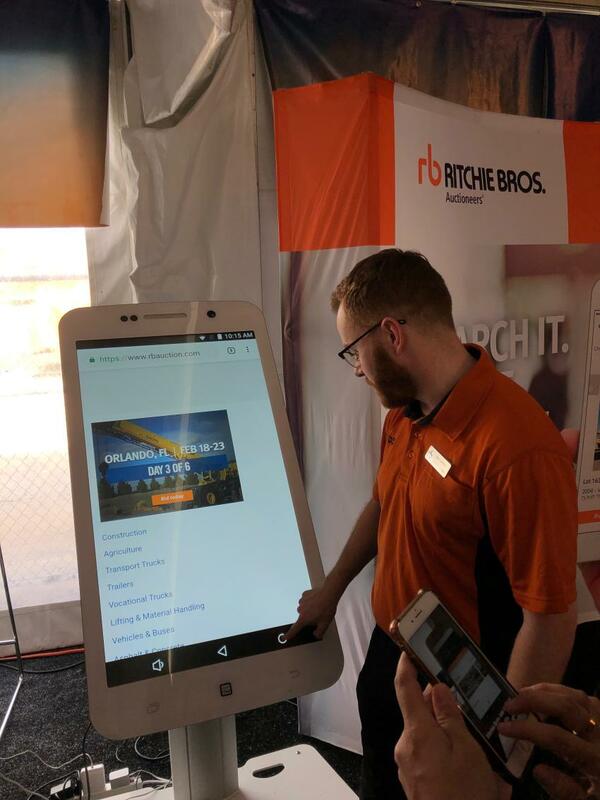 Be sure to download the new Ritchie Bros. app, which allows you to bid at Ritchie sales live and in reserved auctions from anywhere at any time. 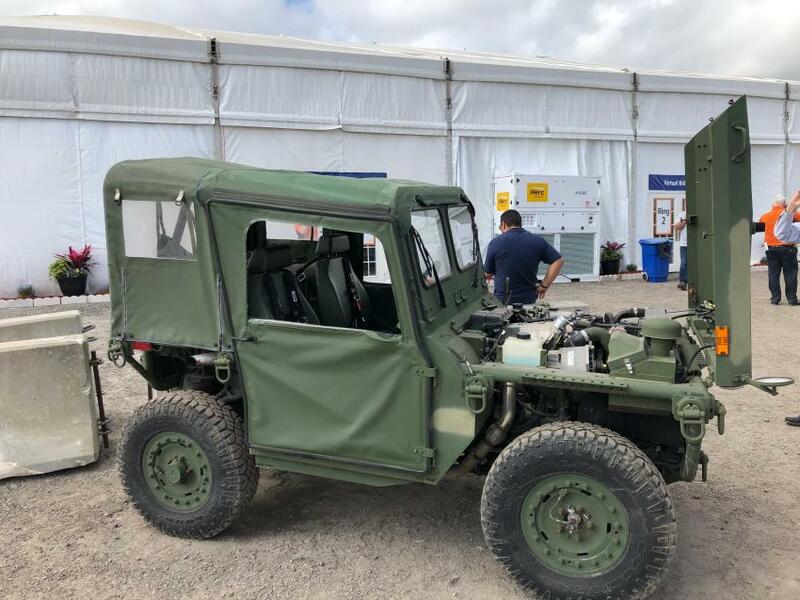 GovPlanet, a division of Ritchie Bros. that liquidates government surplus items, displayed a whole new batch of government off-road vehicles that were available at absolute auction prices. 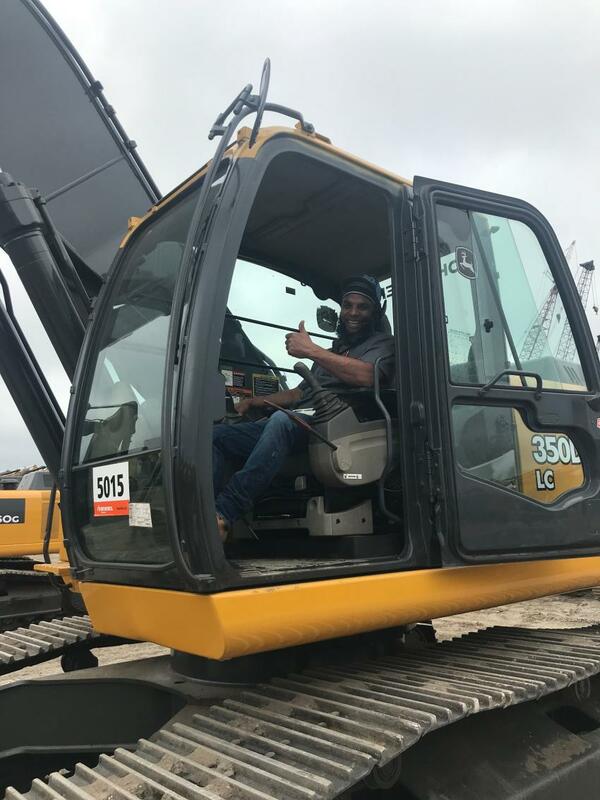 Jason Lee of Coast to Coast Logistics, Cleveland, Ohio, likes the operating cab on a John Deere 350 hydraulic excavator. 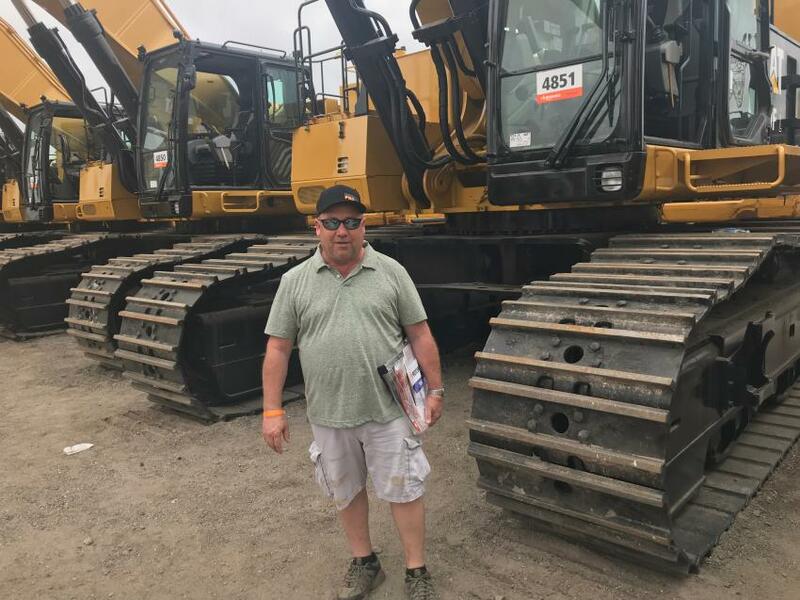 Steve Rich, machine sales representative of Hawthorne Cat, made the trip from San Diego, Calif.
Ritchie Bros.’ first day of its annual Florida Auctions featured skid steers, telescopic forklifts, boom lifts and much more. 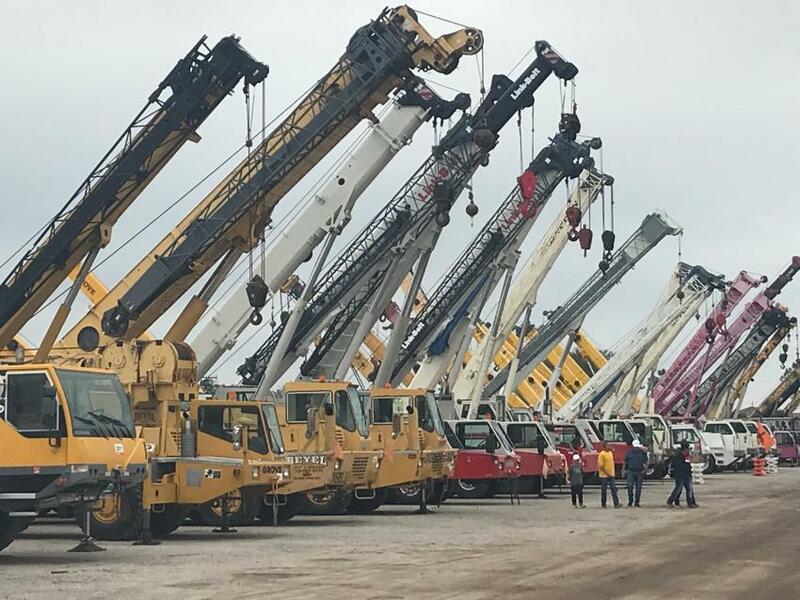 Ninety-plus cranes were auctioned off on day three at the Ritchie Bros. auction in Orlando.